You may have heard that many businesses are using Facebook pages. A number of large brands including Starbucks, Coca-cola and Nike have Facebook business pages, but is having a Facebook page beneficial to your small business? A Facebook presence for small business is a great opportunity to connect and interact with both potential and current clients. With relatively minimal effort, you will be extending your presence on the Internet. Your customers are probably on Facebook. With more than 845 million active users, your customers are most likely using Facebook. Facebook is popular across all age groups. Being in the same arena as your customers provides tremendous opportunities for your company to interact by communicating on the same playing field. Facebook business Pages are public and visible to all. Your Facebook page can be visible to everyone on the Internet. It can be seen by those customers who do not have a Facebook account depending on your settings. Facebook pages appear in Google’s search results. Your business page will appear in Google’s search results enhancing your Internet presence. 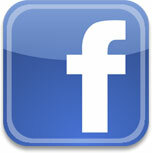 Facebook allows you to directly communicate with those who “Like” your page. As a small local business owner, you may be concerned about the number of “Likes” your page may actually get. Concentrate on quality over quantity. Your business Facebook Page is not about the number of “Likes” your page gets. It is about the quality of those “Likes”. With a smaller number of Likers, you will be able to communicate with your audience on a more personal level. Customer engagement is increased with a Facebook Page. A Facebook Page gives your company an edge over your competition by allowing you to be in direct contact with the people who like your page. It fosters the development of personal relationships with your customers. According to the study, One Café Chain’s Facebook Experiment, by Utpal Dholakia and Emily Durham that was published in the Harvard Business Review, “Facebook changed customer behavior for the better” and that customers who liked the Facebook page in the study made in-store visits more often after liking a page. Facebook inspires word of mouth advertising. As a low cost investment, a Facebook Page for your business provides an opportunity to spend time to interacting with those people who Like your page on a daily basis. Engagement is the key. A socially connected customer whether online or off is more likely to recommend your services and/or products than an unengaged customer. The recent study, Nielsen: Global Consumers’ Trust in ‘Earned’ Advertising Grows in Importance, revealed that “Ninety-two percent of consumers around the world say they trust earned media, such as word-of-mouth and recommendations from friends and family, above all other forms of advertising”. Facebook Pages are easily managed. One of the biggest reasons we hear for small businesses not having a Facebook Page presence is that the business owner does not have enough time to manage the page. The beauty of a Facebook Page is that you can share the management of the page by assigning an administrator. By delegating one or more administrators to the page, management is spread out in time efficient manner. A Facebook page is a beneficial niche tool for small businesses to engage with customers, enhance relationships and inspire word of mouth recommendations. Are you ready to take the next step and set up your business Facebook Page?